Olde Green Cupboard Designs: Farmhouse Threads and Friends Harvest Mystery Quilt Blog Hop! Farmhouse Threads and Friends Harvest Mystery Quilt Blog Hop! Hi gang... don't forget... our Harvest Mystery Quilt Blog Hop has already begun!!! 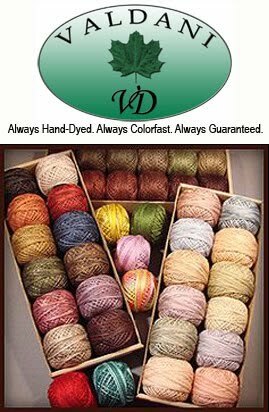 Rhonda McCray - Farmhouse Threads started us off on June 17th... make sure you visit each of us and get your free pattern + we have kits prepared for you to purchase as well!! For 12 weeks, beginning June 17th, we will share with you free patterns from some of our favorite designers to complete a Harvest Mystery Quilt just in time for the season. Each week, one designer will post the pattern to make a Harvest block using wool appliqué on cotton fabric. The patterns are free for you to download and print, and kits will be for sale individually by the designers. Week 12 will include the instructions to put all of these blocks together with some fun borders to complete your quilt. Finishing kits will be available from Farmhouse Threads. Make sure you sign up for each designer’s blog/website to receive the free patterns. Please share our blog hop with your friends and have them follow along! So... go... right now to each shop and get caught up on the ones you may have missed. We truly appreciate your support in our Mystery Block and know that you will have great fun working on this project! Call your friends and create a "stitchin' group"... then once a week get together and work on your blocks at the same time! It's great fun and a super way to encourage each other to finish this project -- TOGETHER! Meet at one central location ... or at each other's homes... make it a "brown bag lunch"! Everyone is responsible for bringing their own lunch - giving the hostess a break from cooking! Now.... how much better can it get...NO COOKING...GREAT FRIENDS... AND PLAYING WITH WOOL-N-NEEDLE! HAVE A GREAT TIME PLAYING ON OUR WEB SITES AND READING OUR BLOGS! I am trying to work on the Harvest Mystery Blocks from 2016 but Block #10 is missing. Is it posted somewhere that I can download to finish the quilt? Here’s the link for the block, I have no idea about the finishing pattern though, probably contact Farmhouse Threads for that.